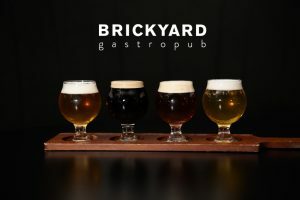 Brickyard is a contemporary, modern Gastropub with a wide range of Irish and International craft beers. The food is modern gastropub fare, with several gluten-free options, and a creative menu to appeal to all taste buds. Brickyard serves lunch Monday-Friday from 12-4, weekend brunch from 11-4 on Saturdays and Sundays, and dinner 7 days a week from 4pm-10pm. Popular with our staff, you’re sure to enjoy it. Brickyard Gastropub is located on the Green Line Luas at Balally LUAS Stop. 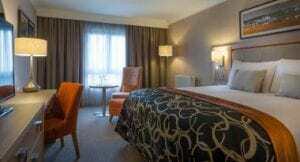 You can get on the LUAS at Central Park stop – just 1-minute walk from the hotel.